Here’s the Better, Faster, & Less Expensive Way to Repair Your Drain Pipes. Pipe Stent is a non-invasive pipe repair system we employ on cracked, separated, or broken drain pipes 2” or larger in diameter. It’s very much like angioplasty for your pipes. The Pipe Stent is installed in the damaged section of the existing pipe, with no digging or demolition required. Once in place, the Pipe Stent, much like an arterial stent, becomes the strongest part of your pipe. Is Pipe Stent Right for You? If you have a crack, break, or separation in a drain pipe 2” or larger in diameter, Pipe Stent is definitely right for you. Especially if conventional repair would require you to tear down walls, break up floors, or perform any other kind of demolition to access the pipe. If you smell sewer gas or experience sewer odor, have frequent sewer backups, or suspect a hidden leak, give us a call. Arnold and Sons has several options to determine whether Pipe Stent is right for you. 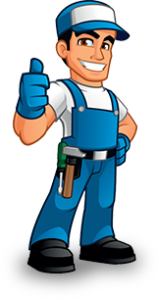 We can perform a video pipe inspection to view the damage from the inside of your pipes. The Pipe Stent procedure can be done for a fraction of the cost of traditional pipe repair and in a fraction of the time. And, best of all, it’s guaranteed for 50 years. For a project analysis and estimate, give us a call today or contact us by email.